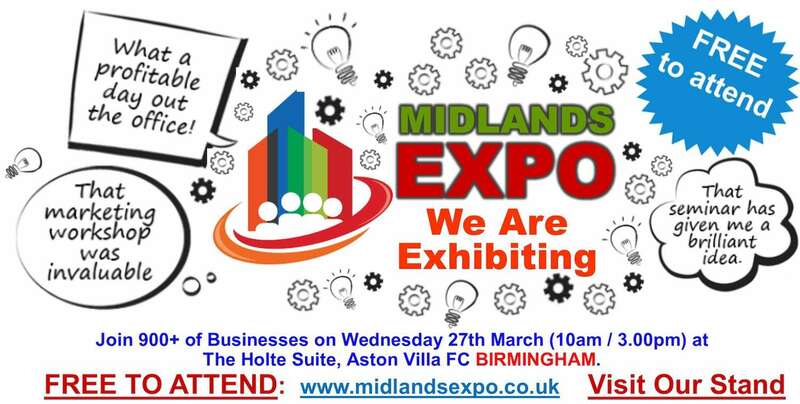 We are pleased to announce that Centric HR will be exhibiting at this years Midlands Expo on Wednesday 27th March to be held at Aston Villa Football Club in Birmingham. The free to visit event will take place from 10am – 3pm and we are looking forward to meeting new businesses and illustrating what services we can provide. Last year the event held at Birmingham City FC recorded over 900 visitors and delighted attendees and motivational speakers spoke in glowing terms about the myriad of information offered to grow their businesses and develop personal skills at Birmingham. No matter what sector you are in, The Midlands Expo will provide everything needed to improve, evolve, expand and develop businesses. The show will be studded with practical workshops to help firms to discover new suppliers, reduce costs, and gain knowledge from experts in their field. Britain’s most influential business names – The Keynote Speakers! The keynote speakers are the UK’s leading business influencers, through their business acumen and extensive experience you will be empowered with the renewed guidance and ambition to take your business to its next level of growth. Have Breakfast with over 150 other business owners – The pre-Expo breakfast is a great way to start the day off. You arrive at the venue on the day of the Expo between 9.00am -10.00am, have breakfast, network and be motivated by the keynote address from a leading UK business personality. You then are all ready for the grand opening of the expo and you will be one of the first to get your delegate bag with promotional offers worth £100+. Meet The Expert – Industry Leading Workshops. All our workshops have been designed to address issues that affect your business. Not only have the Workshops been created to be an engaging, interactive and enjoyable way of gaining practical hands-on experience, they are also a way of picking up the knowledge that your company may be lacking. Meet 40 new clients in 30 Minutes – Serious Speed Networking. Meet 40 new contacts in 30 minutes. Speed networking is the quickest and most efficient way for you to add potential suppliers, partners or clients to your contact list. Historically all of the networking sessions are always entirely packed out throughout the day. 1-2-1 ZONE – This year the organisers have created a 1-2-1 Zone in which you can hold a private meeting with either a possible new contract, supplier or partner that you may have met during your networking sessions. Wonder Woman Business Panel – Success Secrets (What made them succeed?). This panel of eminent female business leaders/entrepreneurs will share the secrets to the phenomenal success they have achieved along with the mistakes that they have made along the way. This is a fantastic Q&A opportunity for you to ask questions and gain the advice and information need for a business to succeed today. The panel is made up of various female business leaders (CEO’s, Managing Directors and Serial Entrepreneurs) from different sectors across the UK, so you can be confident that you will receive the best advice with the very latest information critical for the success of your business. 101 Business Matters -This year the organisers are introducing several 101 business matter booths. These small booths will be set up with various experts from the UK that will be able to assist you in the challenges any business owner faces during the day to day running of the company. Whether it be accountancy, hr, marketing, cash flow, funding or just business development challenges there will be an expert available and ready to talk to you about your business needs and offer practical advice. Supporting Charity – The ethos of the organisers business is giving back, that is why we ensure that the event is called business and community. To date, they have given £50,000 towards local charities and want to continue to increase this in 2019.